The annual Sinag Maynila opens on Wednesday, April 3, at the Podium cinemas with Lakbayan, a three-part omnibus film by National Artist Kidlat Tahimik, Brillante Mendoza, and Lav Diaz— all of whom are awardees at the Berlin International Film Festival and have made their marks in several international film fests. Now on its fifth year, Sinag Maynila continues to showcase quality and thought provoking full length movies, documentaries, and short films from young, non-mainstream Filipino filmmakers from April 3 to 17 at select SM Cinemas. The Sinag Maynila Team. Award-winning filmmaker Brillante Mendoza; Millie Dizon; SM Senior Vice President for Marketing Communications; Butch Ibañez, Solar Pictures General Manager; and Kate Villena, Solar Entertainment Marketing Director with The Plastic Solution Fiona Faulkner (1st from left). A joint project of Solar Entertainment, Centerstage Productions, and SM, the festival seeks to inspire, educate, and enlighten the viewing public. In its fifth year of providing independent filmmakers a brand- new platform to showcase their stories, Sinag Maynila features three competition sections, noteworthy international exhibition films and a variety of cinema-related activities. 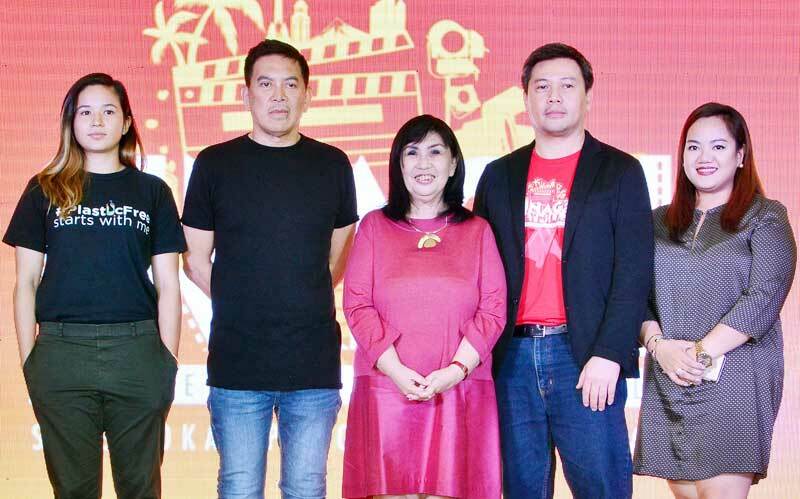 The roster of finalists, which were presented during the recent press conference in the Podium was handpicked by Sinag Maynila CEO and Founder Wilson Tieng and world-renowned and internationally acclaimed film director Brillante Ma Mendoza. These include full-length five features Akin ang Korona by Zig Dulay, Jesusa by Ronald Carballo, Jno To Mari by Joselito “Jay” Altarejos, Pailalim by Daniel Palacio, and Underground by Ralston Jover. The finalists for the Documentary category includes At Home by Arjanmar H. Rebeta, Entablado by Lie Rain Clemente and Nori Jane Isturis, Hope Sports by Joseph Dominic Cruz, Hyatt: Mga Kwento, Lihim at Katotohanan by Jayvee V. Biscuit, and Tata Pilo by Dexter Macaraeg. Competing in the short film category are Bisperas by Raph Quincena, Dana Jung by John Rogers, Dude Pare Bro by Lora Cerdan, Kiss by Harlene Bautista, Kilos by Marjon Santos, Marian by Patrick Lim, Memories of the Rising Sun by Lawrence Fajardo, Nagmamahal, Sal by Jeff Subrabas, Ngiti ni Nazareno by Louie Ignacio, and Panaghoy by Alvin Baloloy. Sinag Maynila 5 also features a forum on Saturday, April 6 at SM City North EDSA with speakers Joanne Goh, Chairman of the Malaysia International Film Festival and Young-woo Kim, Programmer for the Busan International Film Festival. 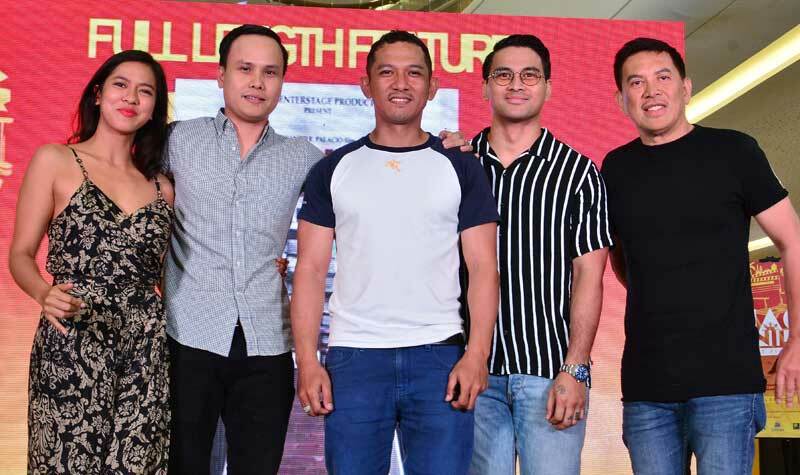 From left: 'Pailalim' Director Daniel Palacio with Mara Lopez, Ryan Sandoval, Joem Bascon, and Direk Brillante Mendoza. Other workshops include an environmental film screening and forum with resource speaker Fiona Faulkner, Environmental and Community Development Officer of The Plastic Solution as well as a Film Editing workshop to be conducted by John Anthony Wong, Managing Director of Edge Manila Creatives Corporation. These will take place on April 12 at Solar Century Tower. Finally, Sinag Maynila closes with the film Journey, an Asian Three-Fold Mirror project by the Japan Foundation on April 8 at The Podium. The film fest is presented by McDonald’s and Co-presented by Nissan. In partnership with the Film Development Council of The Philippines (FDCP), and in celebration of 100 years of Philippine cinema. Special thanks to: The Plastic Solution, Cinema 76 Film Society, Black Maria Cinema, Edge Manila Creatives. SM and SM Cinema is the official event venue partner. 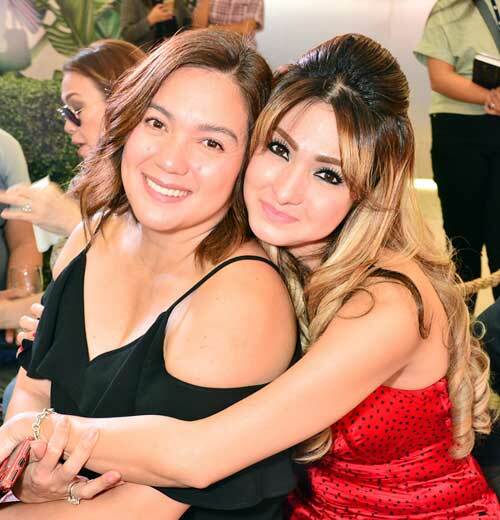 For more information, log on to www.sinagmaynila.com and www.facebook.com/SinagMaynila/ and follow @SinagMaynila on Twitter and Instagram.